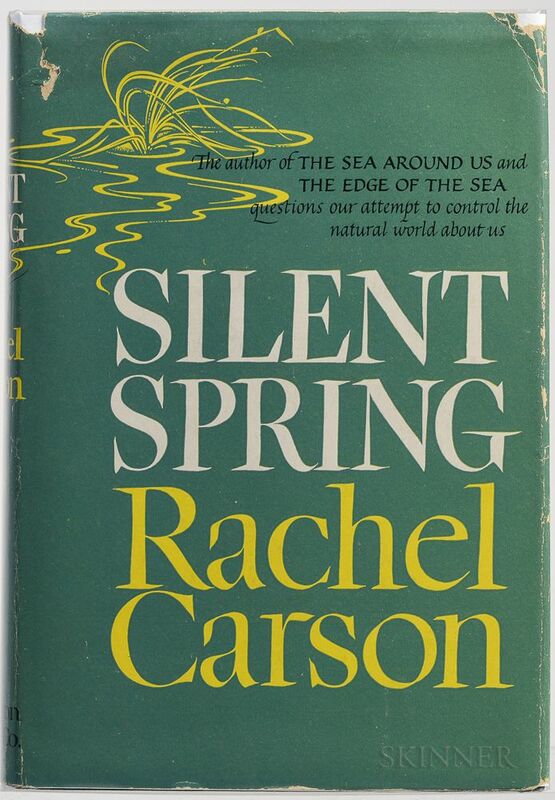 Carson, Rachel (1907-1964) Silent Spring, First Edition. Boston: Houghton Mifflin, 1962. 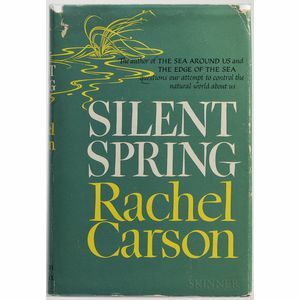 Stated first printing, octavo, bound in publisher's green cloth (one corner bumped), in publisher's dust jacket, generally good, 8 1/4 x 5 1/2 in.